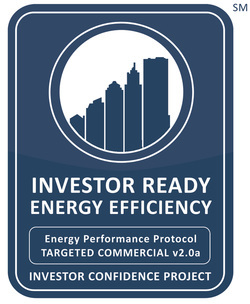 Tigard Bowl recently received an energy efficiency retrofit consistent with the Investor Confidence Project’s Targeted Commercial protocol. The project is expected to provide a 13% reduction in energy savings and result in a simple payback period of 3.6 years. Tigard Bowl is a well known bowling complex located in Tigard, a suburb southwest of Portland Oregon. The building’s owners were approached by NorthWrite Inc., an ICP Credentialed Project Developer, who proposed a turnkey energy efficiency package for the project focused on addressing the outdated HVAC control system which operated continuously 24x7 at full capacity and the lighting system which was inefficient and provided poor quality illumination. The result of these upgrades has been significant reduction in energy use, a more comfortable climate, and unusually high-quality and natural lighting for a bowling alley. The installed EMS is a key component of the implementation and enables NorthWrite’s Energy Expert software to diagnose unusual energy use and to make adjustments to equipment schedules when necessary. The EMS also enables data collection and analysis in conjunction with NorthWrite’s Energy Worksite energy analytics software to perform both Measurement & Verification and an analysis of the building’s performance. This analysis has enabled them to identify and propose a second round of energy efficiency measures which should be implemented in the near future. orthWrite partners with Joule Assets, a member of the ICP Investor Network, to offer unique turn-key energy efficiency solutions to its clients. 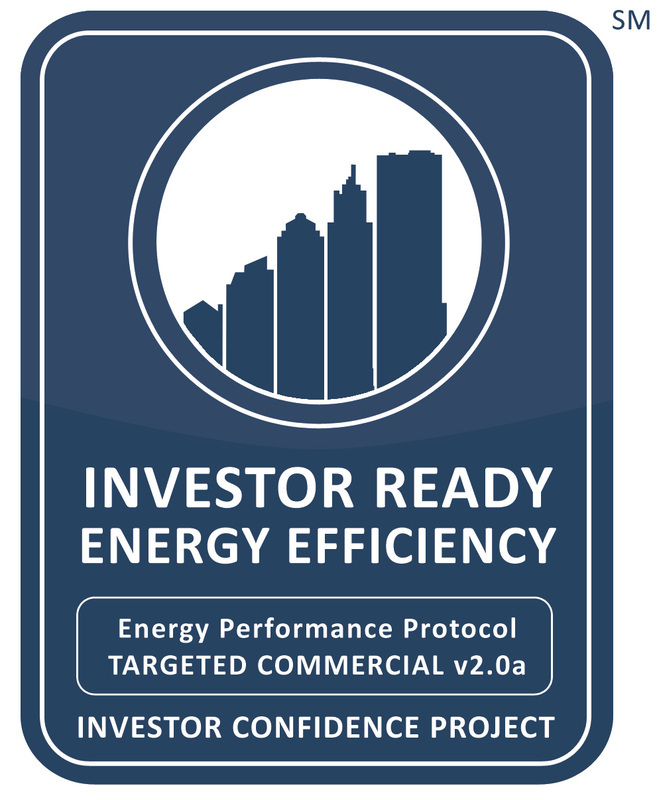 Joule Assets provides complete financing solutions for energy efficiency and demand response projects that can provide off-balance sheet treatment, guaranteed savings, fixed payments, and other features that help building owners mitigate risk and maximize operating profits. 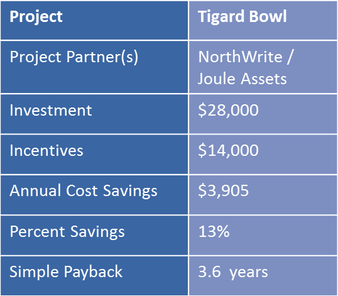 For this project, NorthWrite leveraged incentives through the Energy Trust of Oregon, performance insurance from ICP partner Hartford Steam Boiler, and Joule Asset’s performance- based financing to provide an enticing zero initial cost solution with guaranteed savings that the owners of Tigard Bowl approved and implemented​. Total implementation costs for this initial retrofit project were $28,000 resulting in a savings reduction of $3,905 annually, or 13%. The project is expected to achieve a simple payback of less than 5 years. Replacement of existing T-8 fluorescent bulbs with high-efficiency LED equivalent retrofit tubes. NorthWrite is an innovative energy technology company that has developed a cloud-based supervisory control, analytics, and diagnostics system for small commercial buildings called Agile VoltTM. Agile Volt, together with advanced sensing, control, and communications hardware provides a service to customers under a Managed Energy Services Agreement. Joule Assets finances these projects and the performance is guaranteed and insured--minimizing the risk to all stakeholders. Joule Assets is dedicated to unlocking cash flows, monetizing savings and enhancing returns in the energy reduction asset (ERA) market. As manager of the ERA Fund, Joule leverages its industry expertise and proprietary database to reduce market barriers and accelerate scaling opportunities, creating a socially responsible, uncorrelated, high performance investment product.